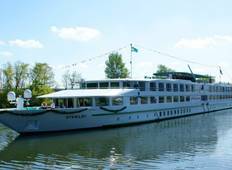 "We enjoyed the river cruise and tourradar we excellent. However, we felt on the boat,..."
"Good food, active itineraries, friendly staff. 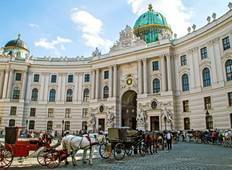 An overall great way to see Europe!" "After 14 ocean and sea cruises, I thought this was the best. The food was better..."
"Wonderful way to see the Danube! Staff is superb, meals are sublime and ship is steady...."
"Everything was wonderful! We loved our room and the bed was soooo comfortable. All..."
"We loved everything on the cruise"
"The best fluvial cruise Ever! " "Great service, great ship, great food! It was really good. Internet was too expensive..."